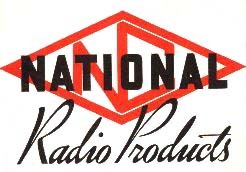 This is a listing of military radios produced by the National Radio Company. Each entry is linked to a catalog style description of the item. This list is under construction (and will be added to) as time permits.